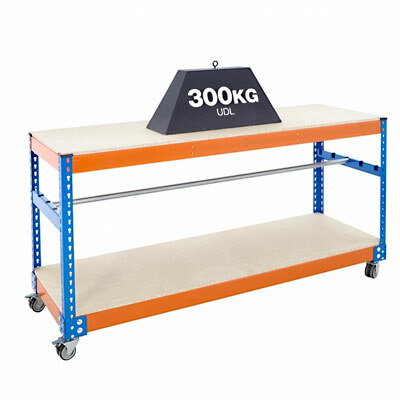 Ideal as an addition to a current packing bench for a busy working environment or as a market entry product for a small business looking to add a packing station but has limited working space. 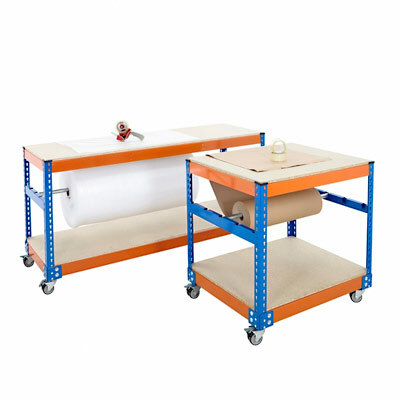 For easy storage of a roll of kraft paper or bubble wrap this packaging bench comes with an under counter reel bar as standard and allows a combined load capacity of 50kg across 2 reels. 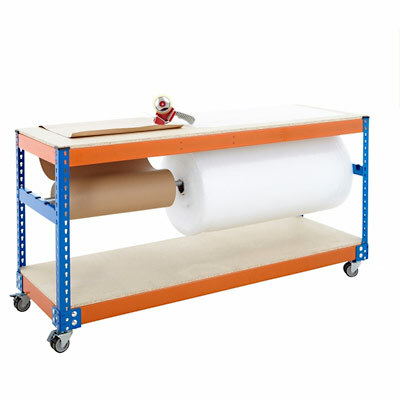 Easily mobile thanks to the attached wheels, this packaging bench can transport up to 4 reams of Kraft paper and can maintain a load capacity of up to 300kg* UDL on the decks. 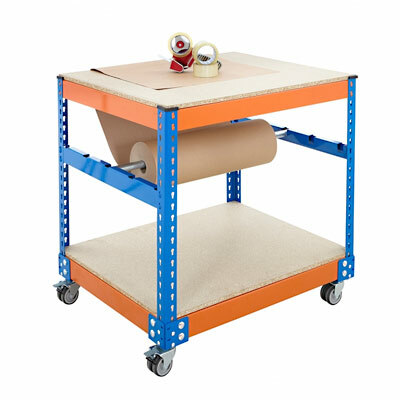 Once active, the heavy duty castors on each foot keep the bench stationary when in use, this safety feature is ideal for environments that will keep this unit standing alone without the support of a wall. This packaging bench is a great addition for environments that require occasional movement from station to station or for businesses looking to expand their current packing station. *UDL = Uniformly Distributed Load. 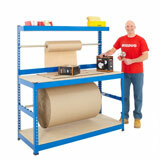 Perfect packing station for business to streamline their dispatch process! 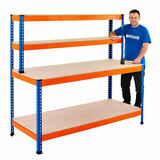 Versatile industrial workstation with up to 400kg UDL capacity! 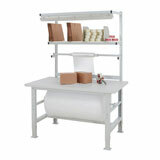 Height adjustable packing station with max load capacity of up to 1200kg UDL!